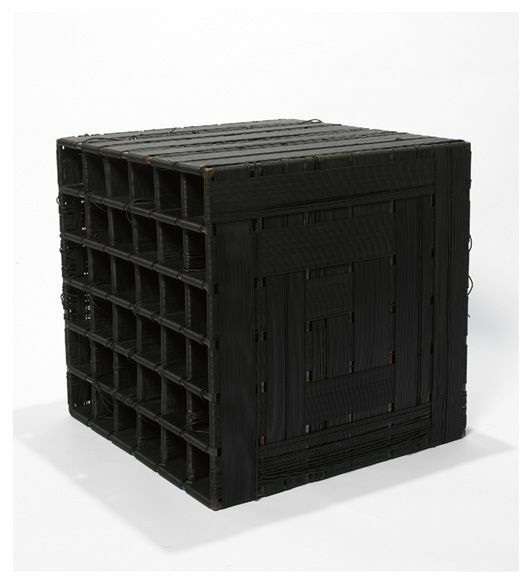 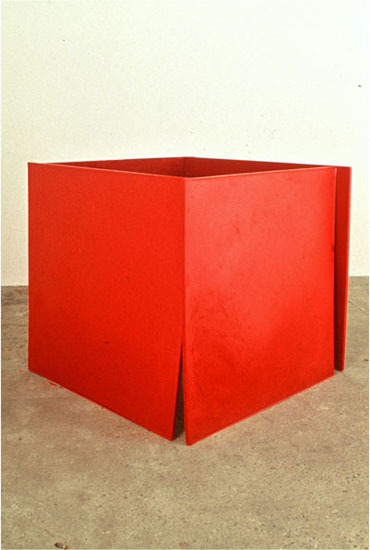 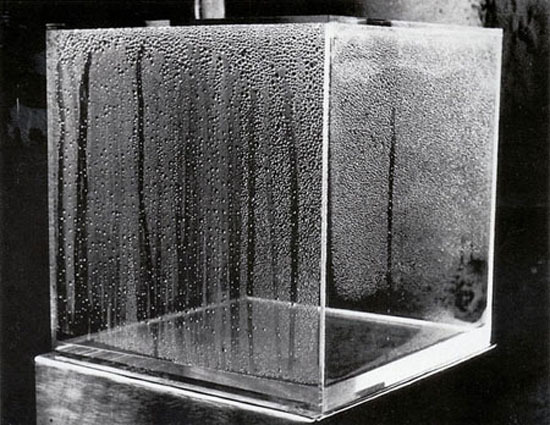 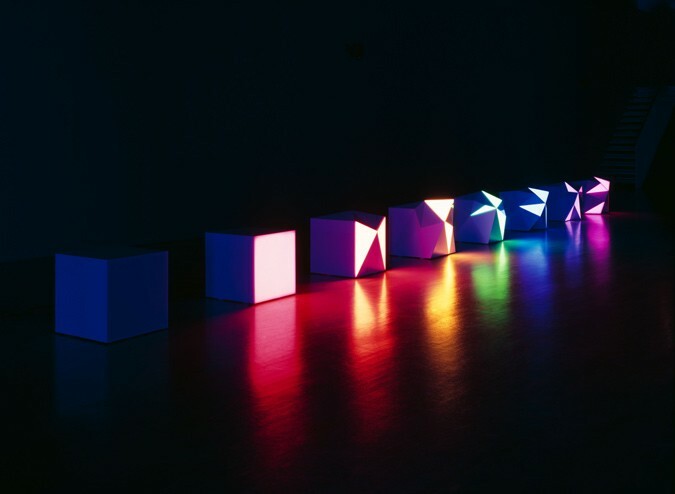 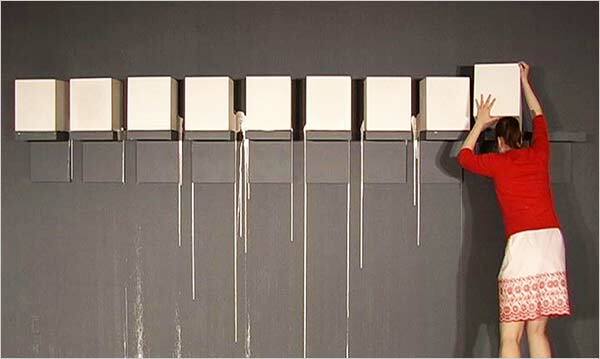 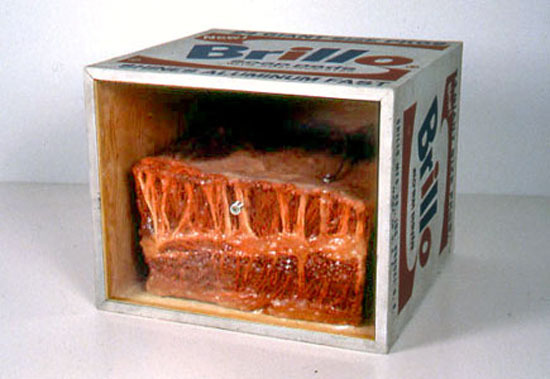 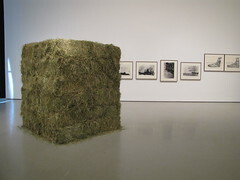 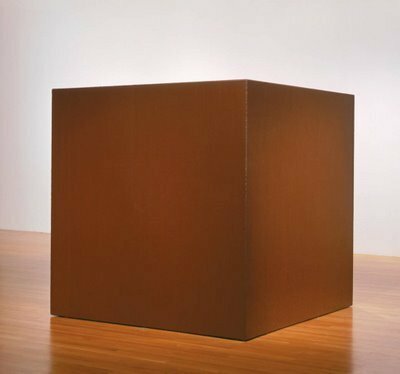 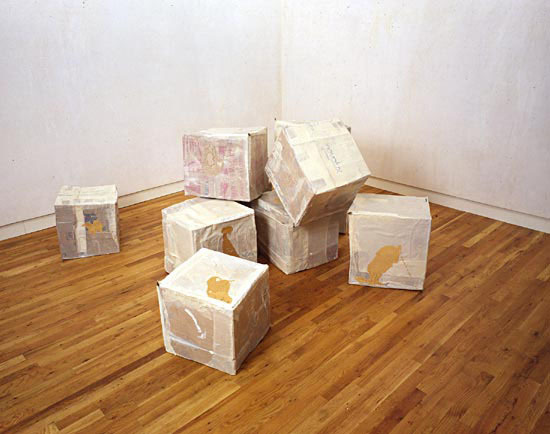 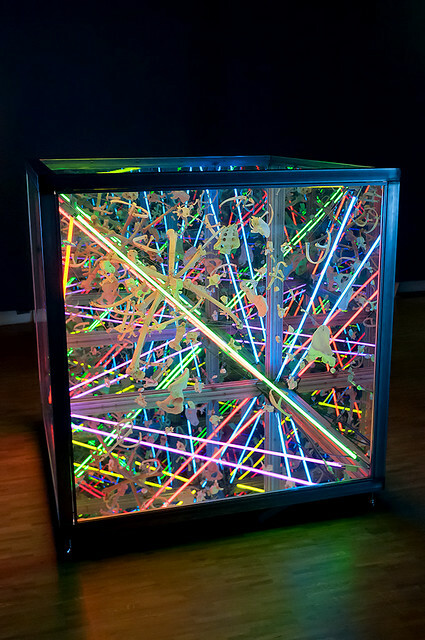 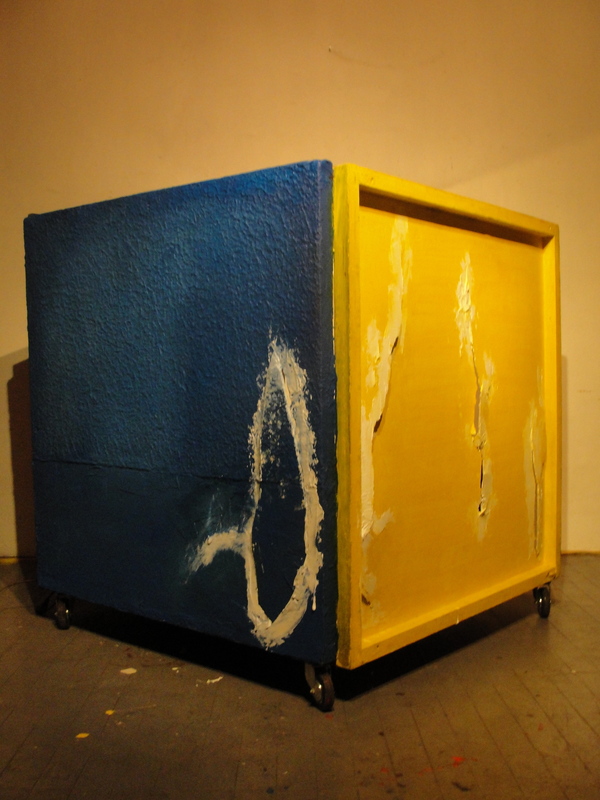 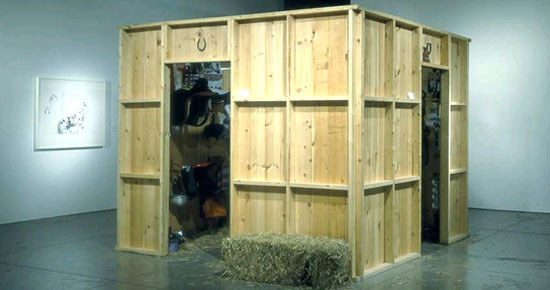 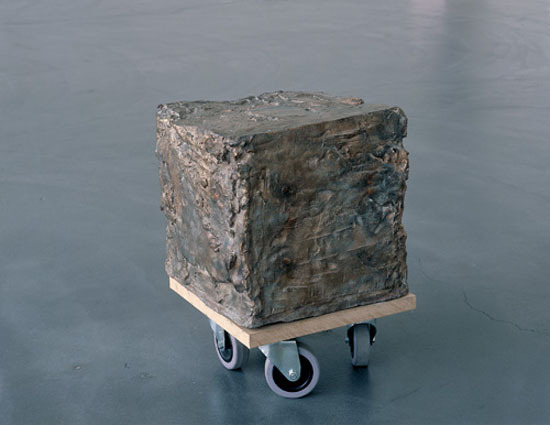 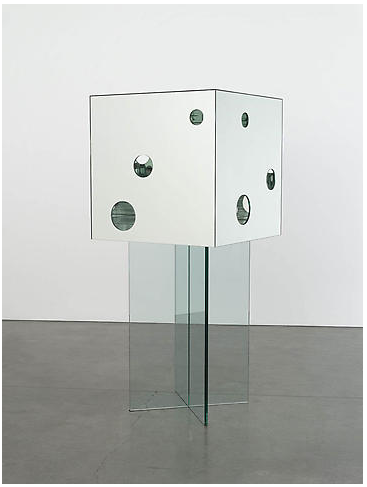 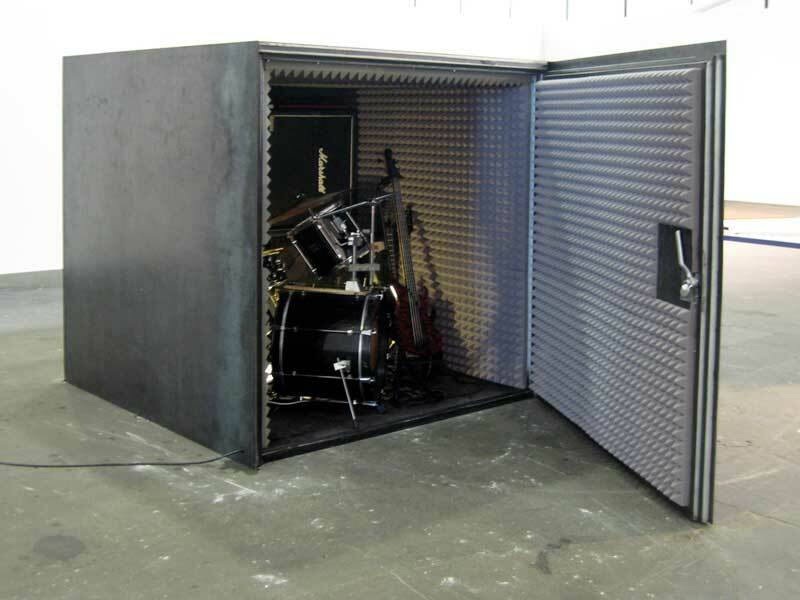 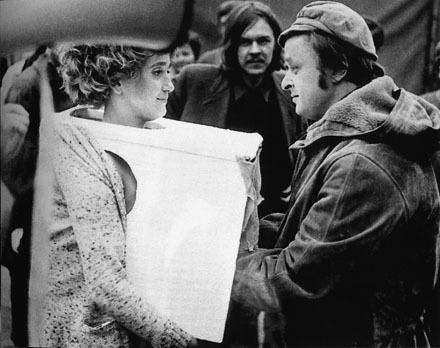 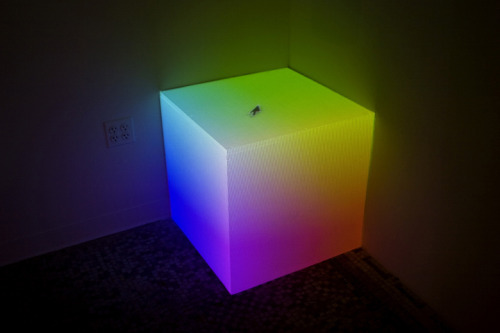 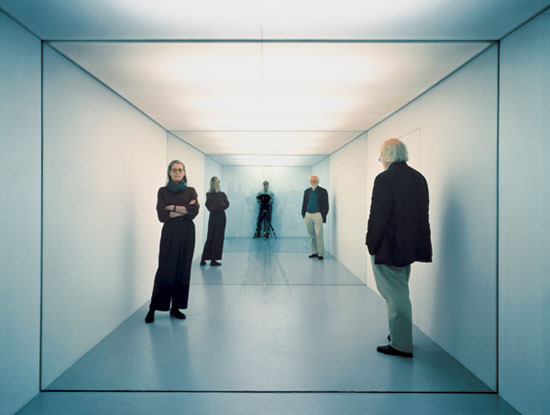 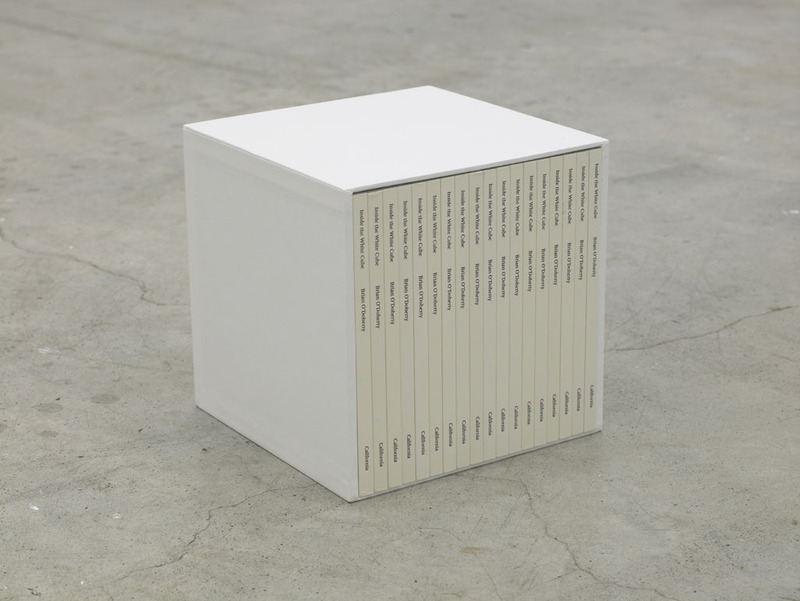 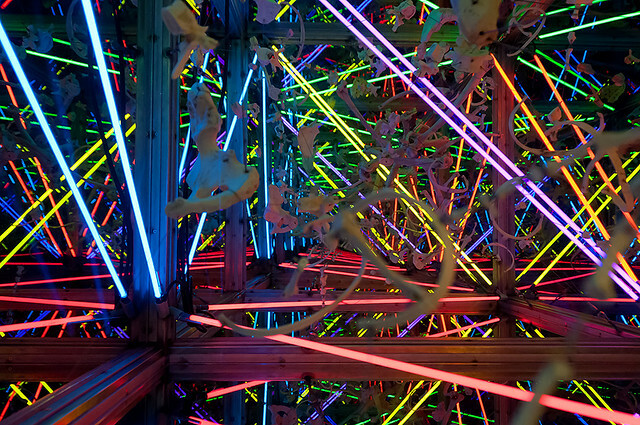 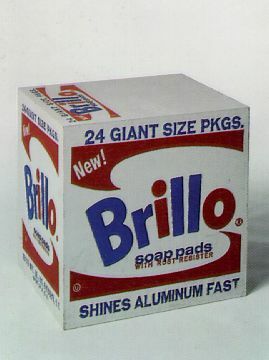 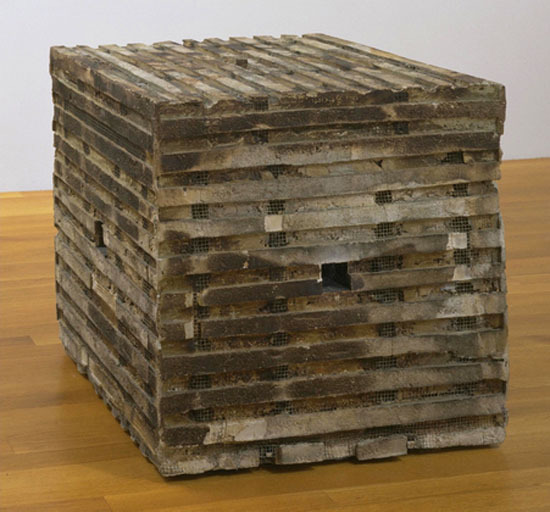 Nicholas Negroponte, SEEK (1969-70): A project at MIT in which the artist programmed a robotic arm to move crates in an environment inhabited by gerbils who occasionally rearranged the crates. 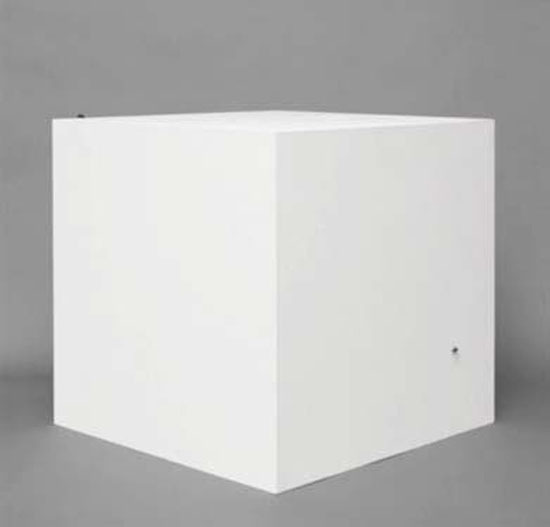 The arm was designed to adapt to the chages the gerbils made. 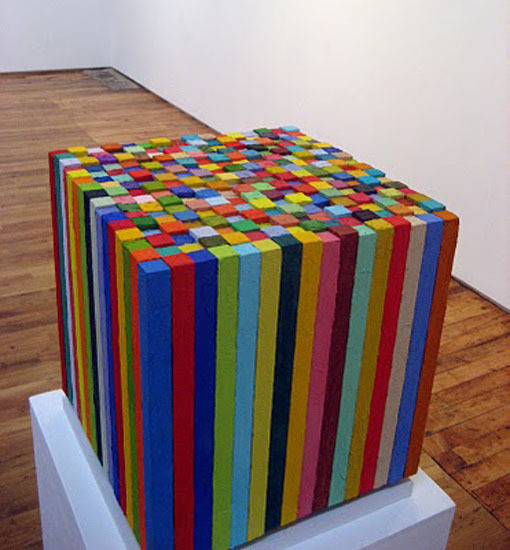 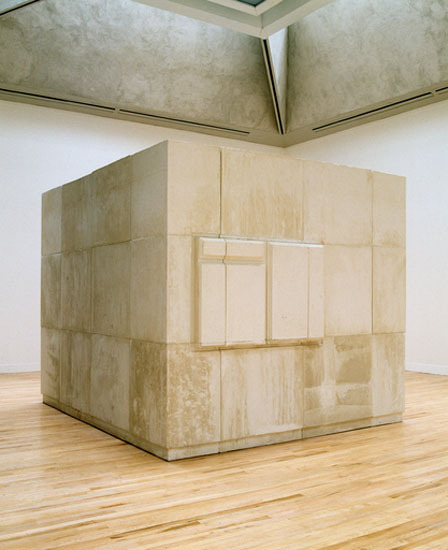 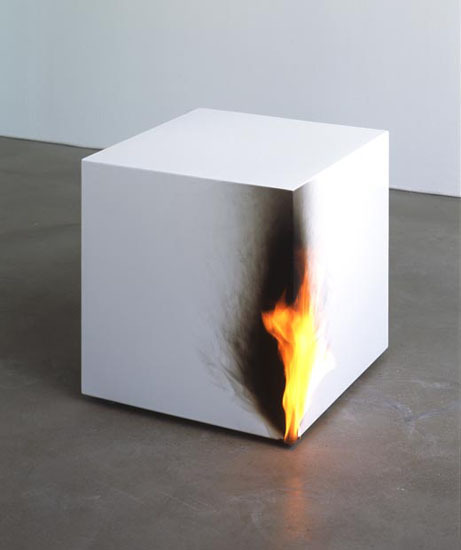 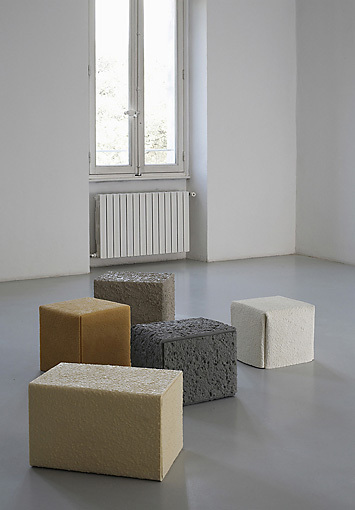 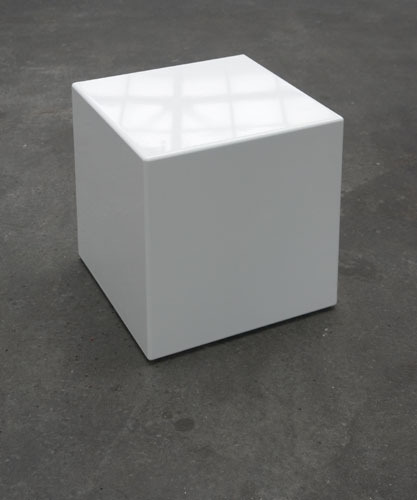 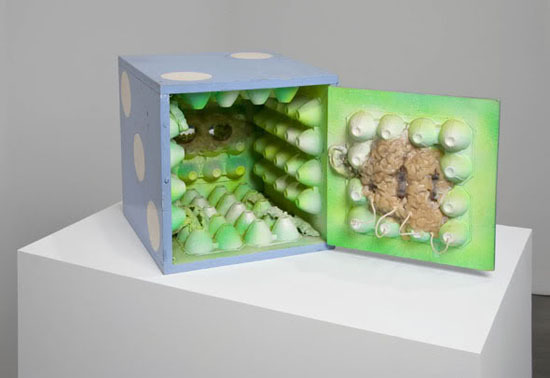 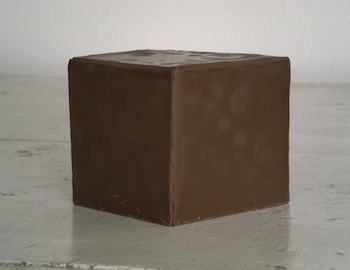 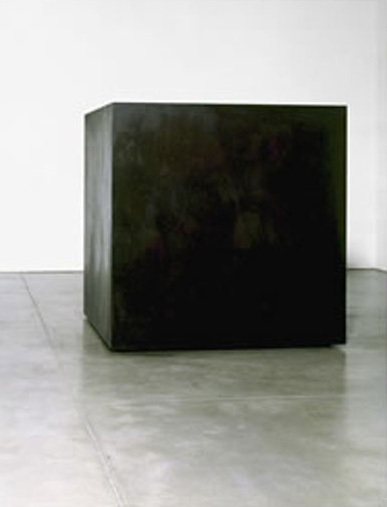 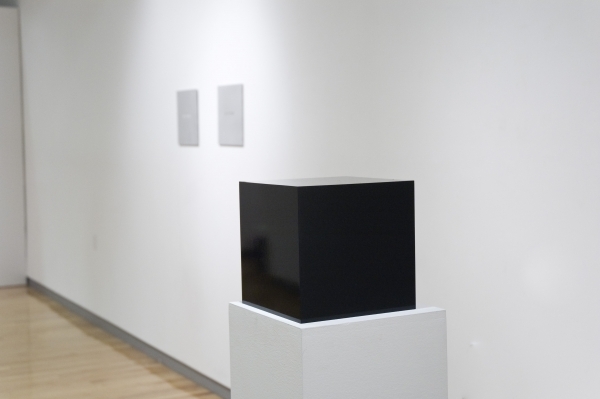 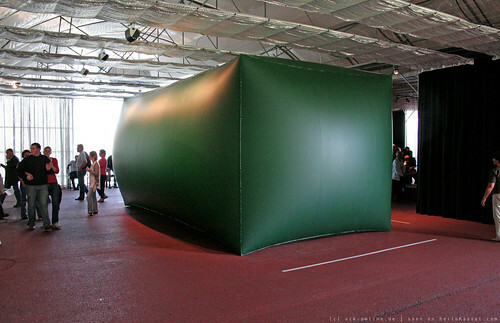 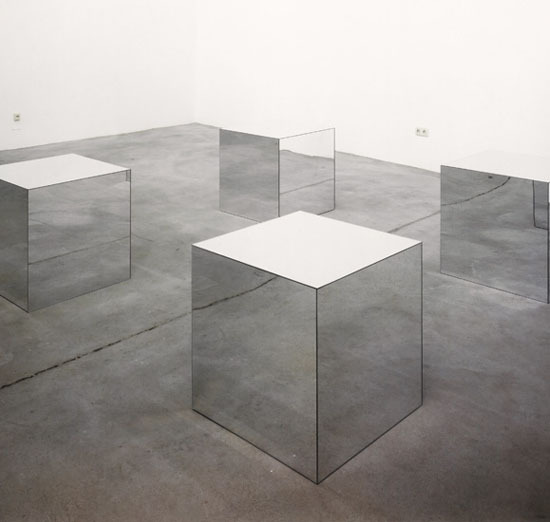 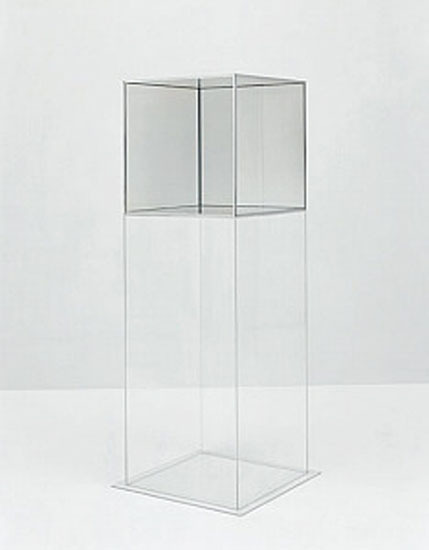 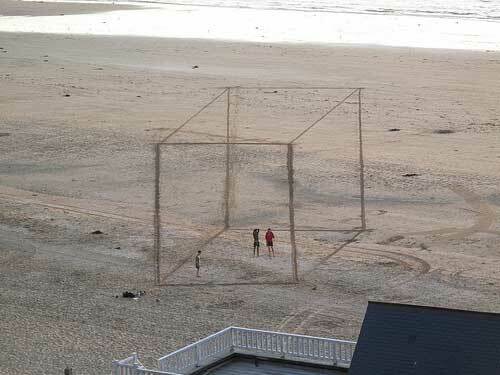 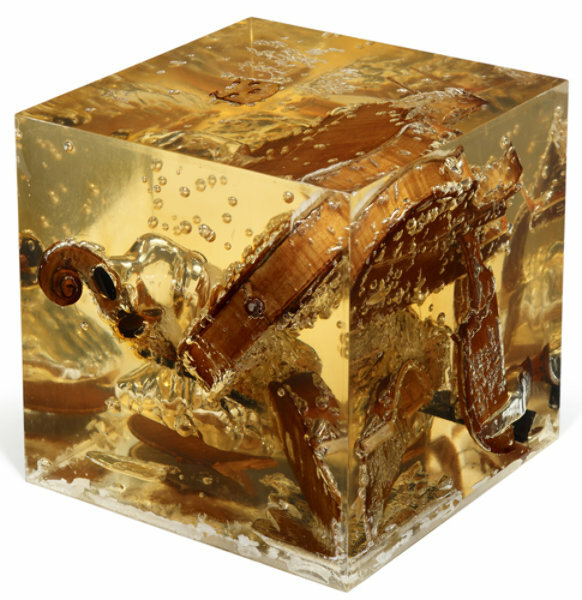 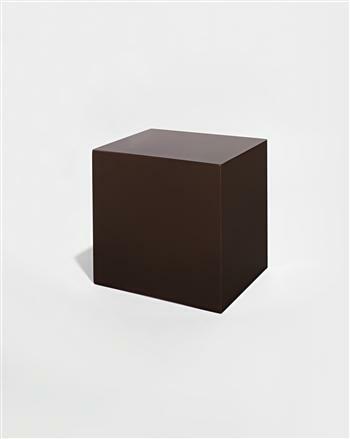 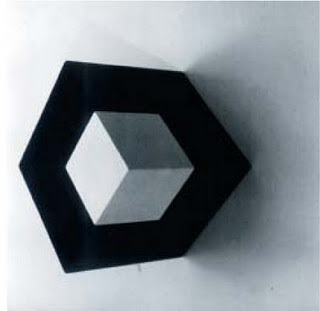 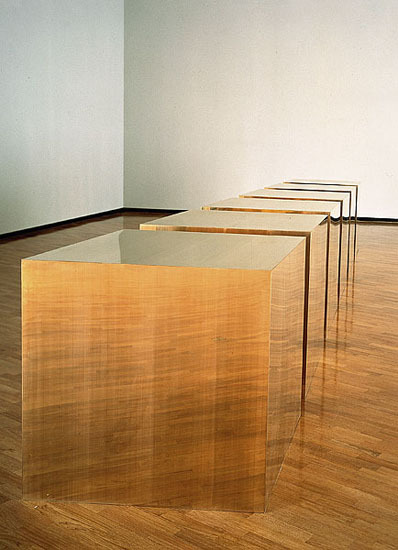 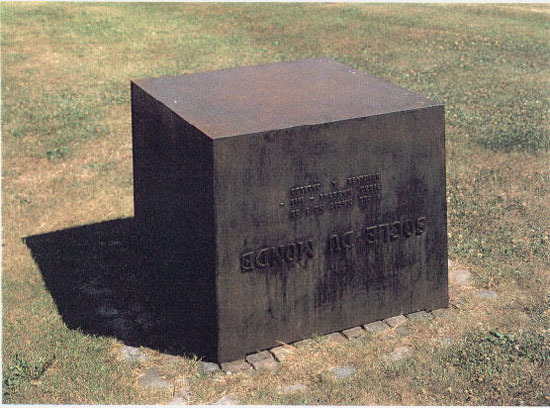 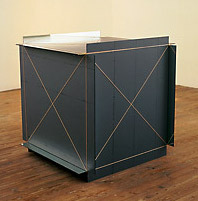 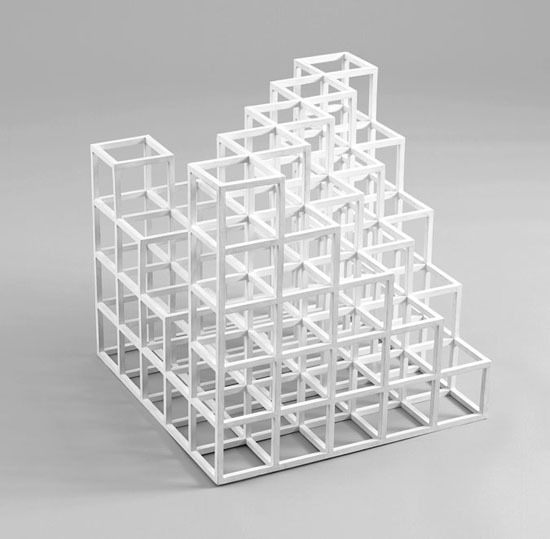 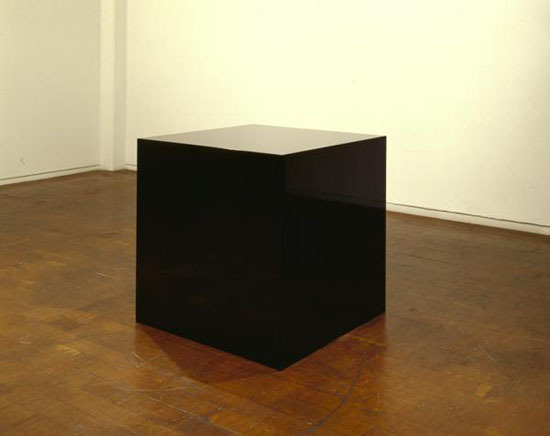 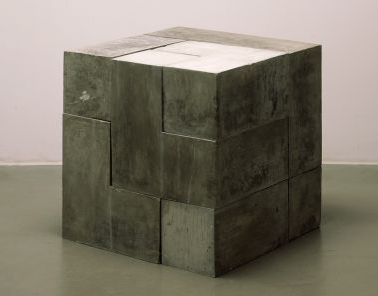 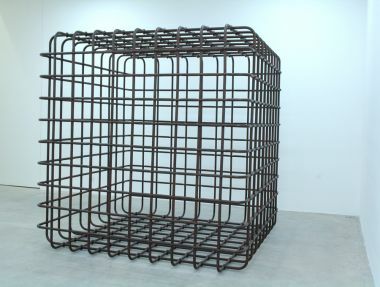 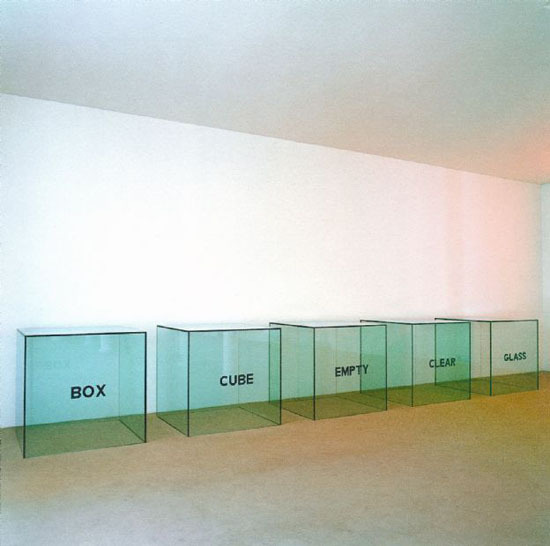 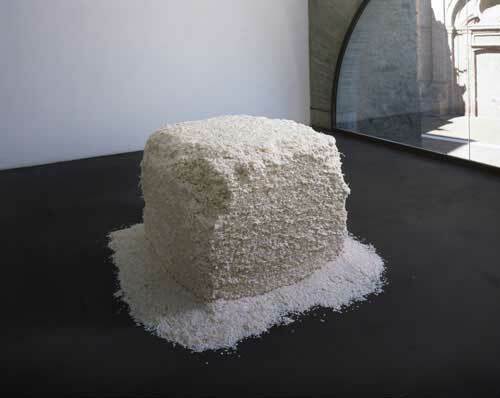 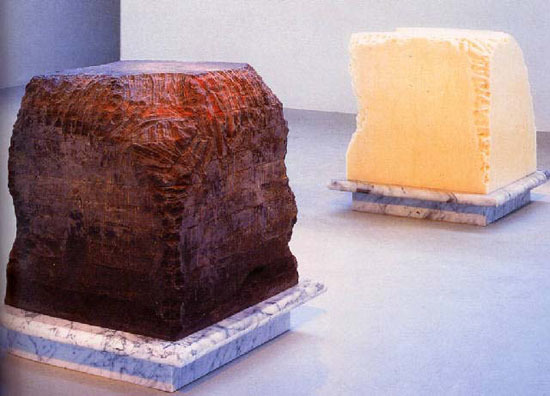 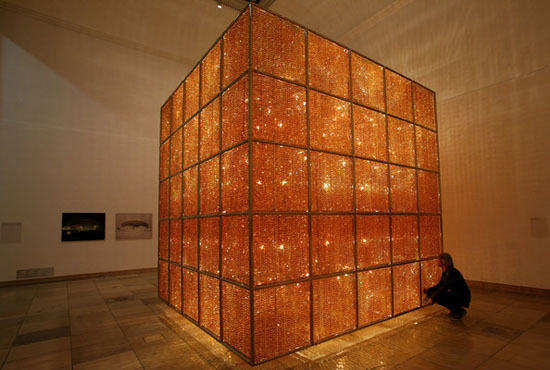 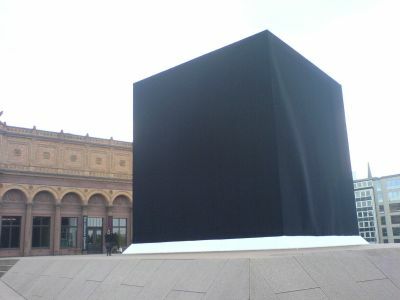 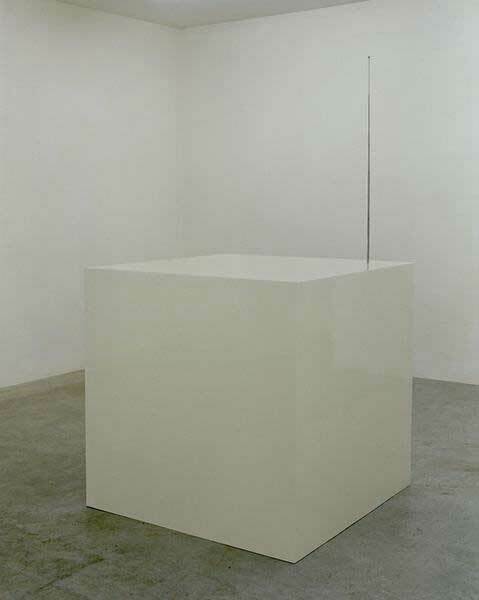 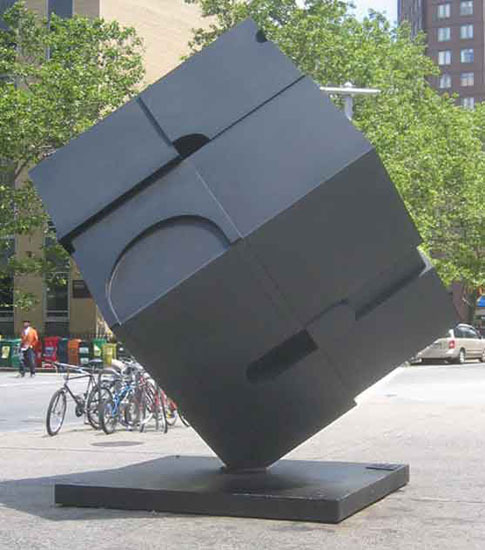 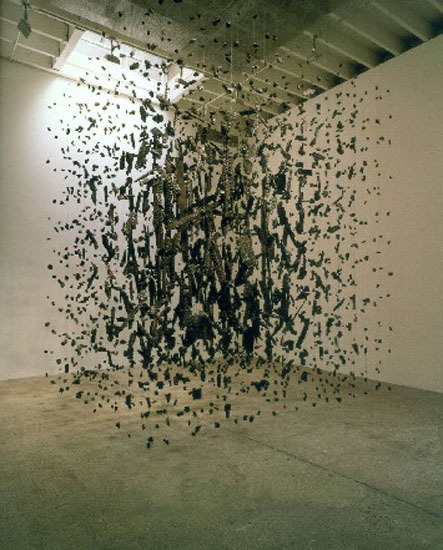 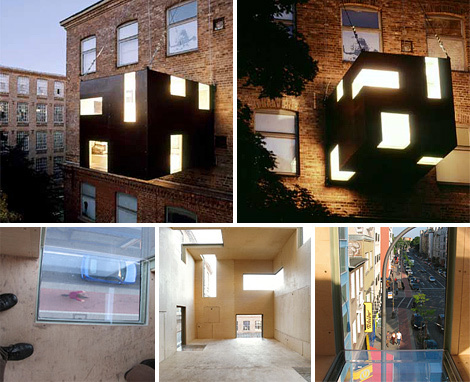 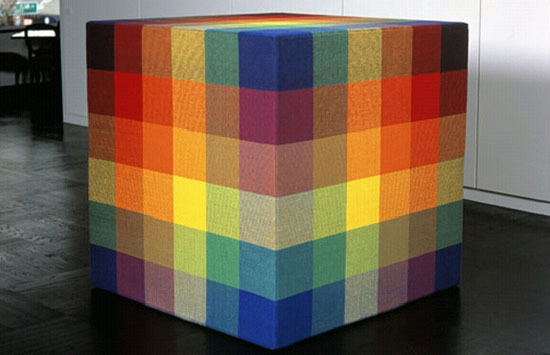 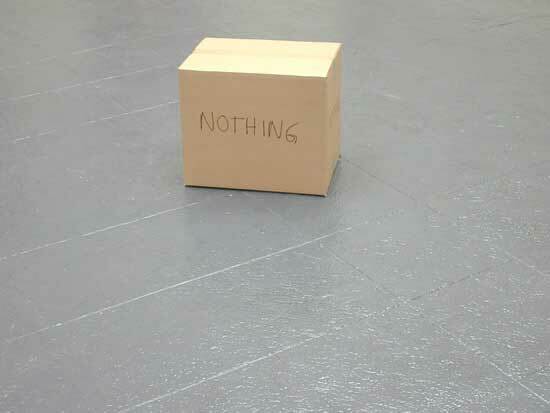 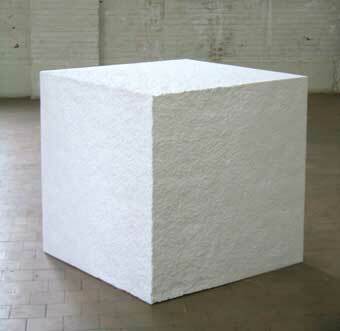 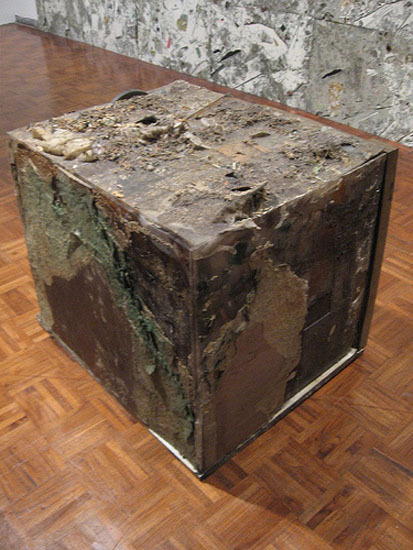 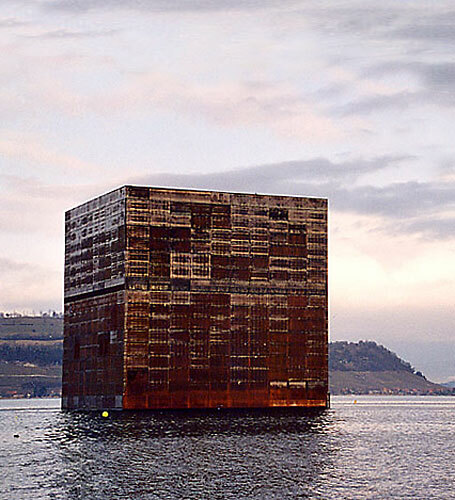 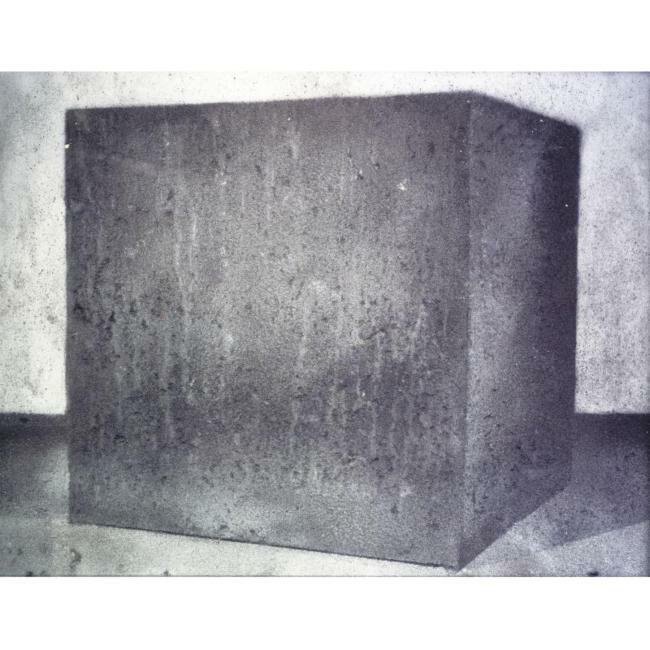 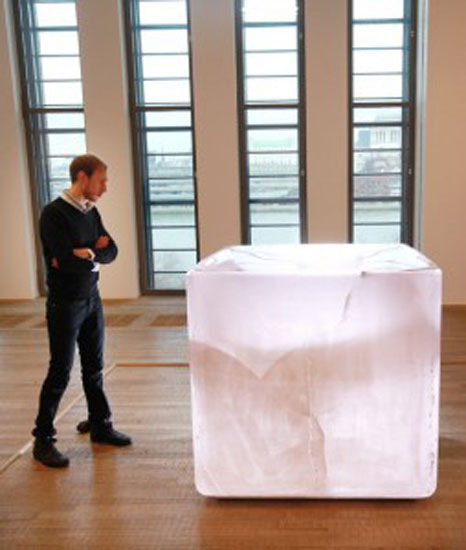 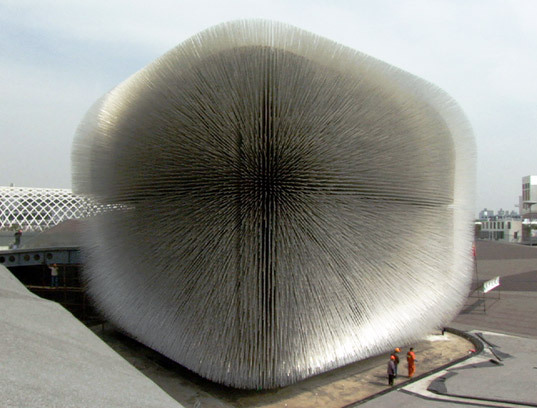 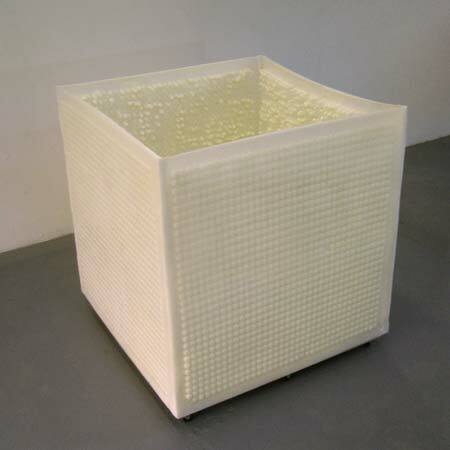 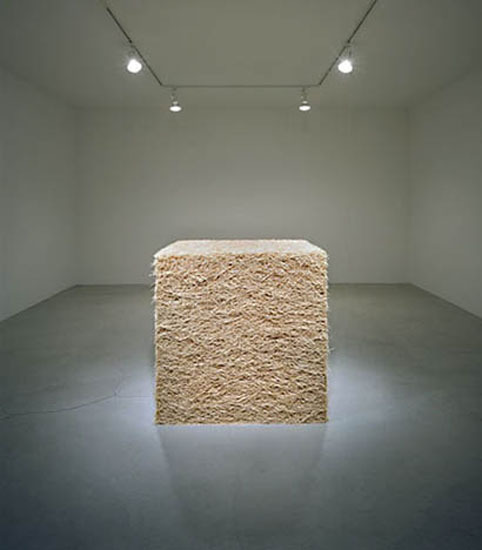 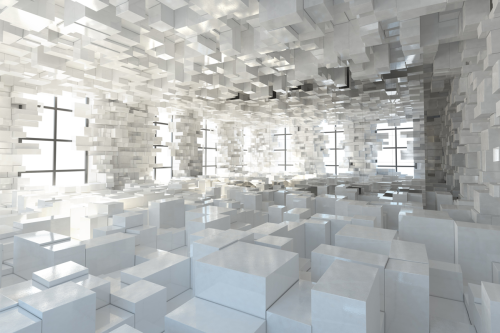 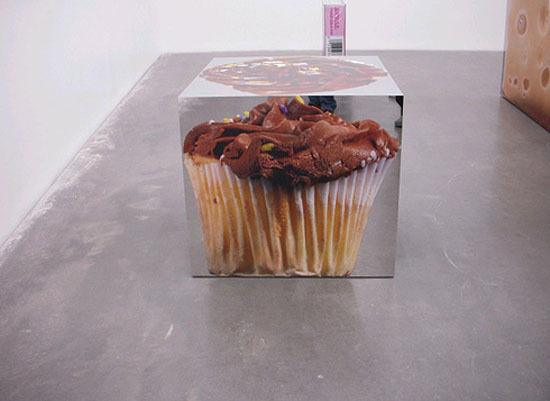 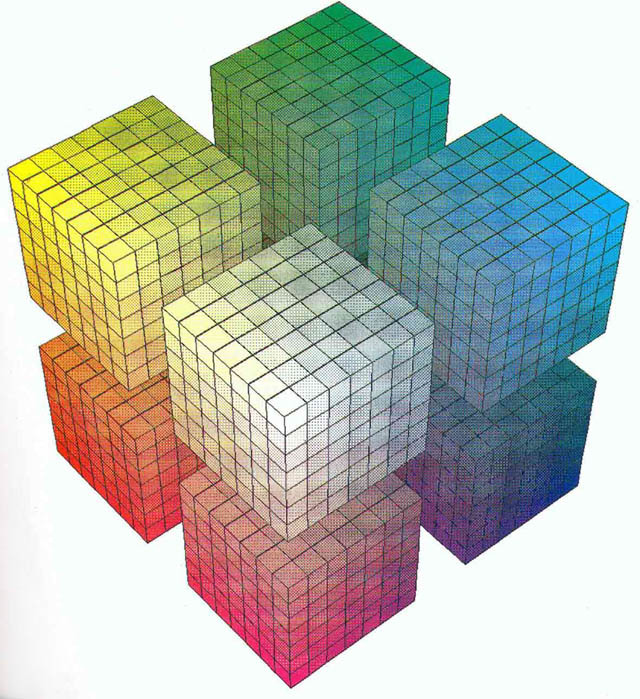 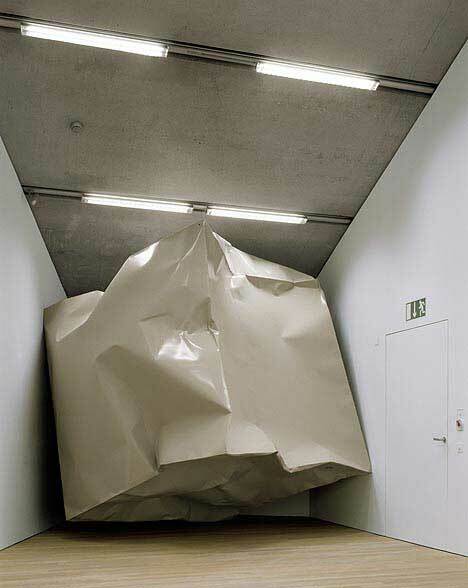 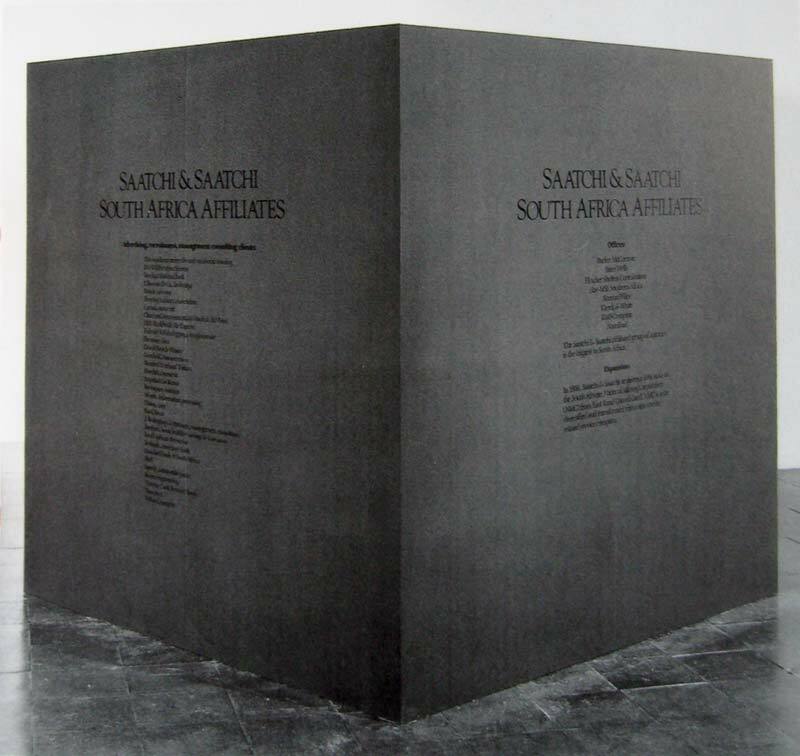 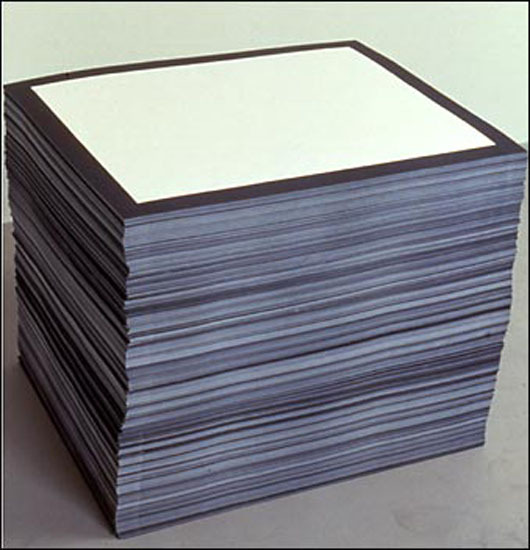 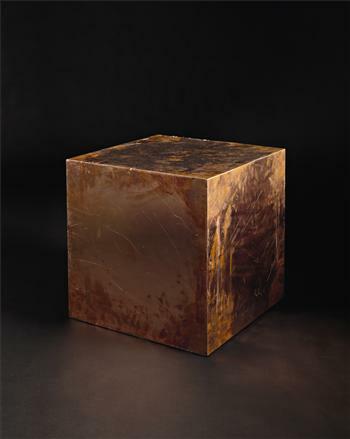 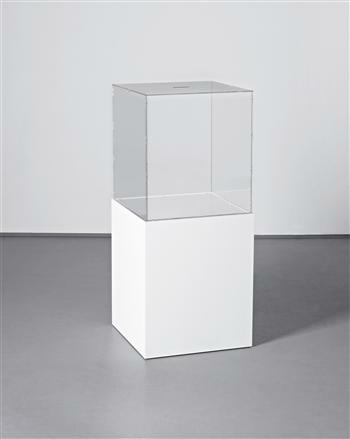 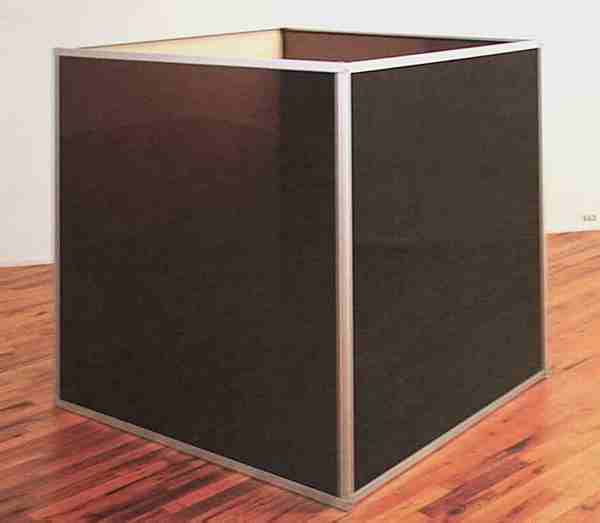 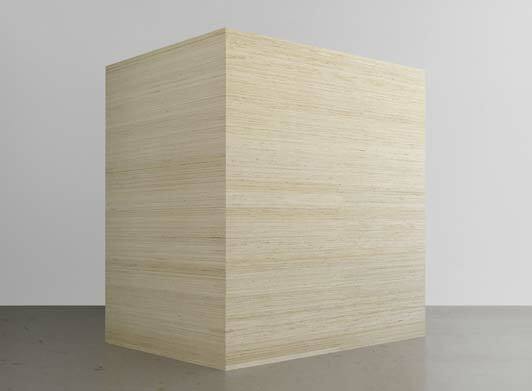 Stéphane Malka, No limits in the streets (2010): closer to "rectangular prisms" than "cubes"